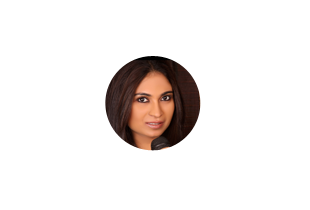 We impart training to Hindustani, Carnatic and Light music singers to enhance the quality of voice and also to eliminate all voice problems. 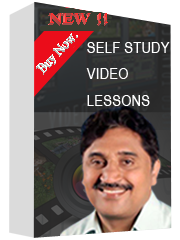 Learn the techniques and exercises developed by Prof. Dr. T. Unnikrishnan (PG in Music, Psychology, English Litt. & PhD in Music) after an in-depth study and research in disciplines such as Music, Physiology-Anatomy, Psychology and Yoga. Pick a day and time to schedule classes. Duration of class is 45 minutes. Rescheduling is allowed on a request at least 24 hours prior to the scheduled class. Learn the lessons anywhere from the globe through Skype with an electronic Tampura & Headphone. 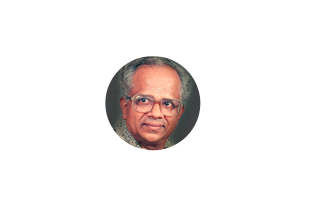 Dr. T Unnikrishnan has always impressed me with the exemplary dedication and industry he brings to his research on voice culture. I have had the pleasure of attending his lecture demonstration at the Music Academy, Chennai on this subject. 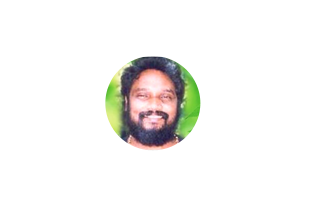 Prof. Unnikrishnan is a reputed Vocalist and Voice Trainer. He has conducted many workshops at ITC Sangeet Research Academy and many scholars are highly benefited after following his methods to modulate the voice. 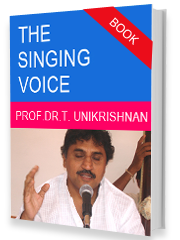 Prof. T Unnikrishnan is a renowned expert of voice culture. We have organized workshop of Shri Unnikrishnan in our Swarabharat School of Music. He has developed many vocal techniques for classical and light singing. 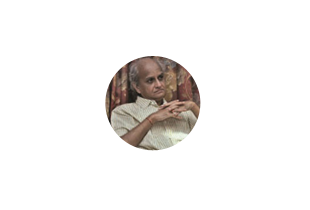 I was a vocal music scholar learning under Pandit Ulhas Kashalkar at ITC- Sangeet Research Academy, Kolkata and was facing voice problems since 2 years. My voice was weak and strained on higher notes due to hypertrophy on my right vocal cord. 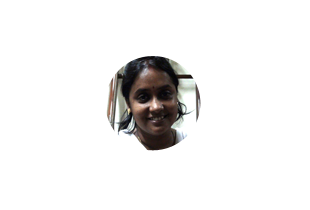 I took voice training under Prof Unnikrishnan and after following his methods I got back my voice. He is a genius person as there is a power in him to identify one’s voice problem while listening to the speaking voice. 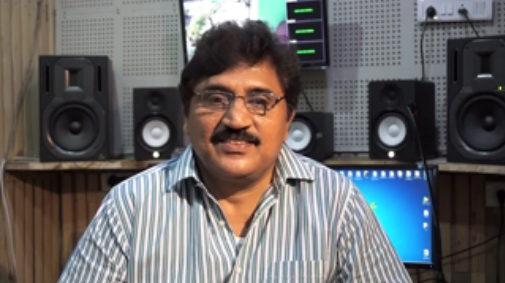 Prof. Unnikrishnan is my guru, guide and voice trainer. I did my Ph.D under him. He is an extra ordinary expert of voice with a golden voice. 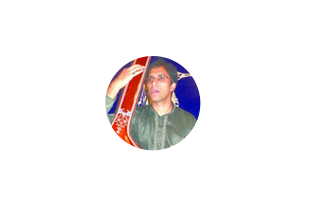 He trained me to sing Hindustani Music and Light Music with separate voice techniques and exercises.